Watch full Naruto Shippuden Season 20 Episode 33 English Dubbed full HD online. Naruto Shippuden Episode 446 English Dubbed online for free in HD. 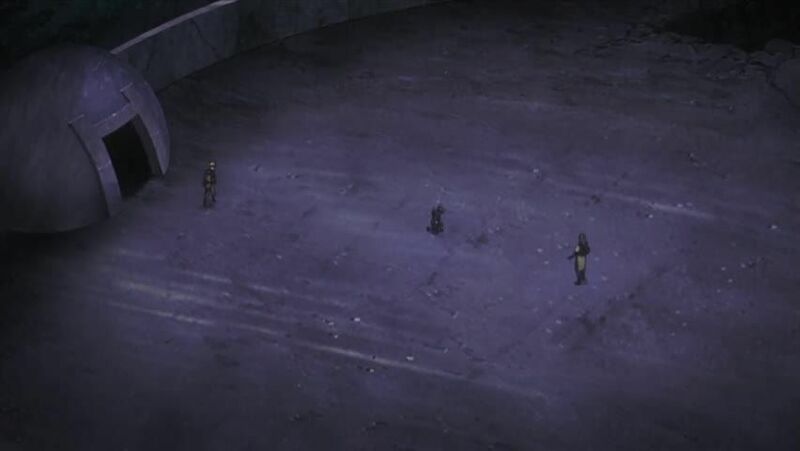 Naruto and Shikamaru follow onto the tower to find Sasuke, while Neji stays behind to prevent the two remaining Root Anbu from following them. Anko reveals she is accompanied by an ink clone, while the other Anbu flies above them on an ink bird. Neji fights Anko. Shikamaru stays at the tower’s entrance to fight Sai. Sasuke meets up with Orochimaru. On his way up the tower, Naruto is captured by Yamato. Naruto taps into the Nine-Tails’ power, freeing himself and growing four tails. Yamato tried to stop him, but his jutsu fails, and Naruto begins growing a fifth tail. Sasuke demands power from Orochimaru, and screams in pain when he is branded with the Cursed Seal of Heaven. His screams snaps Naruto out of his transformation, whose chakra knocks Yamato out. Naruto reaches Sasuke, and after a few words the two begin fighting. Naruto gathers natural energy from a shadow clone he prepared and enters Sage Mode, which catches Orochimaru’s eye, despite expiring soon. Sasuke sends a Fire Release jutsu up in the sky, setting up a thunderstorm. Sasuke uses Kirin against Naruto’s Rasenshuriken. Sasuke lands a blow on Naruto, who explains why he’s going so far to bring Sasuke back. Naruto again channels the Nine-Tails’ chakra. Itachi suddenly appears and throws himself into Sasuke’s attack, getting killed in the process. Sasuke walks away from the battlefield having awakened the MangekyÅ Sharingan.